Fuelling for Etape, or fuelling for your event (sportif, race), is one of the two key things you can do (along with training, obviously) to make sure you not only survive the event, but conquer it. However, finding credible information on Fuelling for Etape is hard. Not only information that’s credible, but a plan that works. How do you find out about Fuelling for Etape? Do you ask your friends? Will you test a plan before Etape to make sure it works? How do you know if you’re doing the right thing? …It’s almost like you’ve climbed Everest. Twice. With one more to go. …But wait, there’s STILL MORE. You still have 15km to ride up the accursed bloody Tourmalet. …Broken souls straddle their stationary bikes or sit on the road shoulders slumped, staring into oblivion. …30% of the field (fully 3000 people) abandon. It’s akin to a warzone. Can you imagine spending all that money to go on your dream cycling trip to do Etape only to blow up due to not Fuelling for Etape properly? Or, What about that race you planned so much, and trained so hard for. Understandably, when you’re hurting and just want to finish, it’s easy to make mistakes and start blindly clutching at straws. However, that’s when the 4 Common Mistakes of not fuelling properly start to really hurt you. What you really need is a credible, structured authoritative Fuelling for Etape strategy. NOT passed onto you by your mates. NOT gleaned from numerous blogs. BUT, one that has been especially created by a dietitian and nutritionist especially for events like this. How I know all this? My name’s Tim Marsh and I’ve done several Etapes du Tour. My results have ranged from good-without-trying in 2009, to decent (2011), to VERY, VERY bad in 2010. I’m a logistics and planning obsessive, and always make sure I do everything possible to make sure I’ll enjoy my trip. After all, why spend thousands of dollars to not enjoy yourself? Crazy! I’m here to help make sure you have all the tools and information YOU need, to make sure that what happened to me and thousands others in the 2010 Etape, doesn’t happen to you. 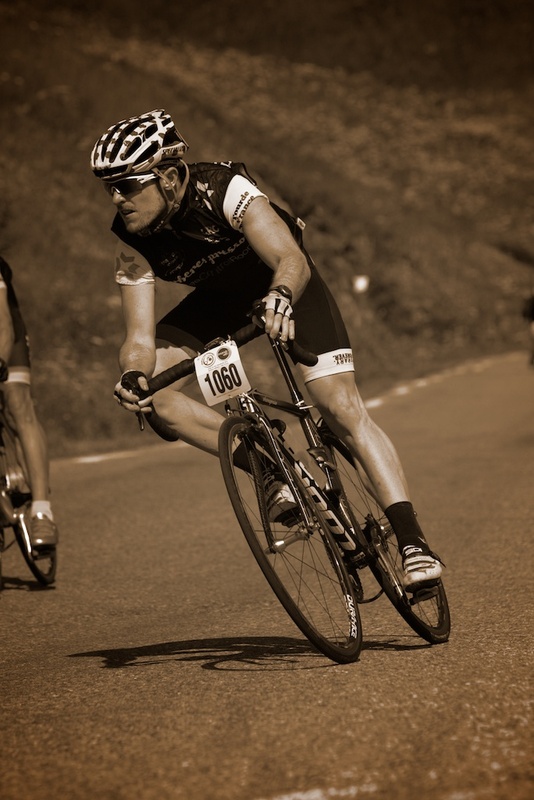 As you’ll see below, even very fit, accomplished climbers can get into deep trouble without proper fuelling strategies. I went to the 2010 Etape way underdone. I flew from Australia via the US to Europe (too far), and arrived to close to the Etape. I probably had too many Bacardis on the plane on the way over, and didn’t take my Etape fuelling seriously. When we arrived, I didn’t prepare properly at all, thinking my training (I’d done a bit) would cover me. I’m a natural climber – what did I have to even worry about? Boy was I wrong. I cramped on the first climb of the day and spent the next 7 hours suffering deeply. The Tourmalet was anguish the whole way up. Constant cramping and stopping to try and stop the debilitating pain. What a horrid way to spend an awesome day. But it doesn’t have to be this way. Fuelling for Etape and other gruelling events is a specially constructed eating and nutrition plan for Etape and other endurance events. Remove the uncertainty and guesswork from your Fuelling for Etape eating plan with this plan created by accredited sports dietitian and nutritionist Alan McCubbin. This is a nutrition plan backed by science and demonstrable practical experience. No hearsay, no guess work. Protect yourself – against blowing up and hours of pain in the saddle, or worse, abandonment. Remove guesswork – just follow the plan. Save money – no need for crazy supplements. Plan ahead – no running around beforehand trying to find the right food. Self sufficiency – no need to depend on feed stations, costing valuable time. It’s specific – this plan is specific to Etape and events like it. No more experimenting – start using something that works. It’s simple, clear and easy-to-follow. Avoid the 4 common fuelling for Etape mistakes. You’ll get a clear, simple, easy-to-follow plan that tells you exactly what to have, and when. You’ll find out about replenishing food, electrolytes, vitamins and minerals and why it’s so incredibly important. You’ll find out the products I use and recommend. You’ll know exactly how to carbo-load – PROPERLY – for this event. Simple, easy-to-understand, credible instructions and guidelines on what to eat in the week leading up to the event, what to eat during your event, and what to eat to recover properly. Simple, effective, easy and convenient recipes for making your own energy drink (save money!) and food for these events and your everyday long rides. Recommended products (like protein, electrolytes, carbs) for recovery and fuelling – ONLY products that work, and that I use and recommend. If you don’t have a clear, credible eating plan for Etape (and other gruelling events), you need this guide. Save yourself the pain and anguish of what many others have gone through, by doing all you can to prepare properly. Remember, this has been prepared by sports dietitian and nutritionist, Alan McCubbin. 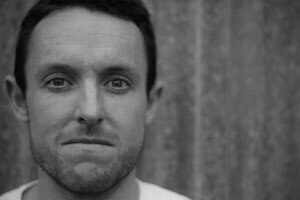 Alan McCubbin runs Next Level Nutrition and is VP of Sports Dietitians Australia (SDA). He’s worked with the Australian Institute of Sport (AIS) and athletes of all levels including Olympians. For a limited time save 20% on the AUD$49 price this guide will end up at. You can get it as an instant PDF download now for AUD$39. If you had a nutritionist or dietitian consult with you for this type of plan, you’d probably pay $100 plus. Want to bundle this with the Nutrition Plan for Cyclists? Hey, you can do that too. The NPC is worth the exact same amount. Right now, you can get them both for $45, a saving of 42% off the standard price of $77. 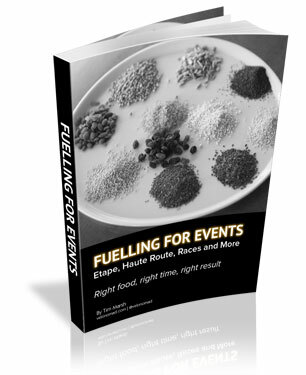 I hope you’ll check out the Fuelling for Etape guide, and I wish you all the best in your Etape, sportif and racing endeavours. PS: If you had a nutritionist or dietitian consult with you for this type of plan, you’d probably pay $100 plus. PPS: If you want to bundle this with the Fuelling for Cyclists, you can do that too. Fuelling for Etape is worth the exact same amount. Right now, you can get them both for $45, a saving of 42% off the standard price of $78.